4623 E 56th Street, Maywood, CA.| MLS# PW19077085 | Southern California Homes for Sale. Search properties Southern California. This property cannot be shown and is being sold in the current occupied with condition unknown status with NO ACCESS to the property allowed until after close of escrow. 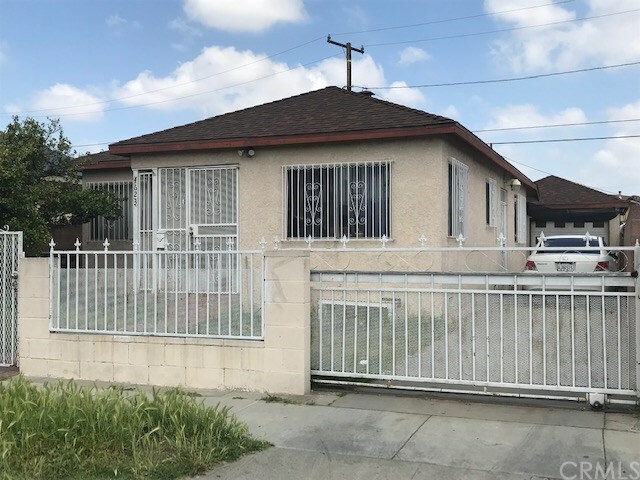 Comments from the previous listing (end date: 9/18/17): "One of the last opportunities to get a 3 bedroom 2 bathroom at this price ($310k) in Maywood. Great for first time buyer with intentions of making this a home. Some repairs are going to be needed. Vibrant community full of shopping opportunities. Minutes away from access to freeways 5 and 710." NOTE the current desktop valuation shows a RealAVM Range of $366,943 - $517,257 and a RealAVM: $442,100. There will be NO ACCESS ALLOWED for appraisal or inspections therefor buyer will need to submit only all CASH offers. Buyer will need to begin eviction AFTER close of escrow or negotiate cash-for-keys. Occupants are unknown/unverified.